Located 2 mi south Lynxville on rout 35 WI Coordinates Lat N 43:13':552" Lon W 91:04'561"
After 1837 the vast timber resources of northern Wisconsin were eagerly sought by --settlers moving into the mid-Mississippi valley By 1847 there were more than thirty saw-mills on the Wisconsin, Chippewa and St. Croix river systems, cutting largely Wisconsin white pine. The largest log raft on the Mississippi was assembled at Lynxville in 1896. It was 270 feet wide and 1550 long, containing two and one-fourth million board feet of lumber. 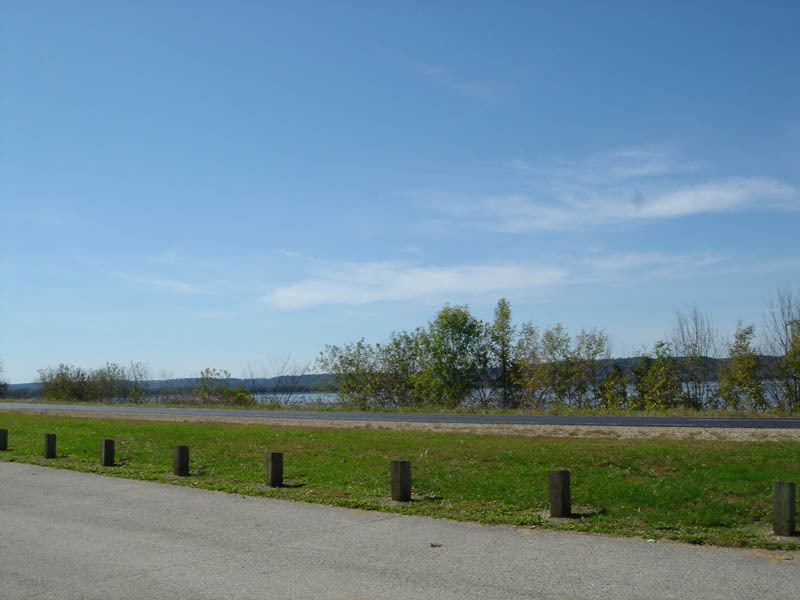 The largest lumber raft on the river originated on Lake St. Croix in 1901. Somewhat smaller in size, 270 feet wide and 1450 feet long, it carried more lumber, nine million board feet. 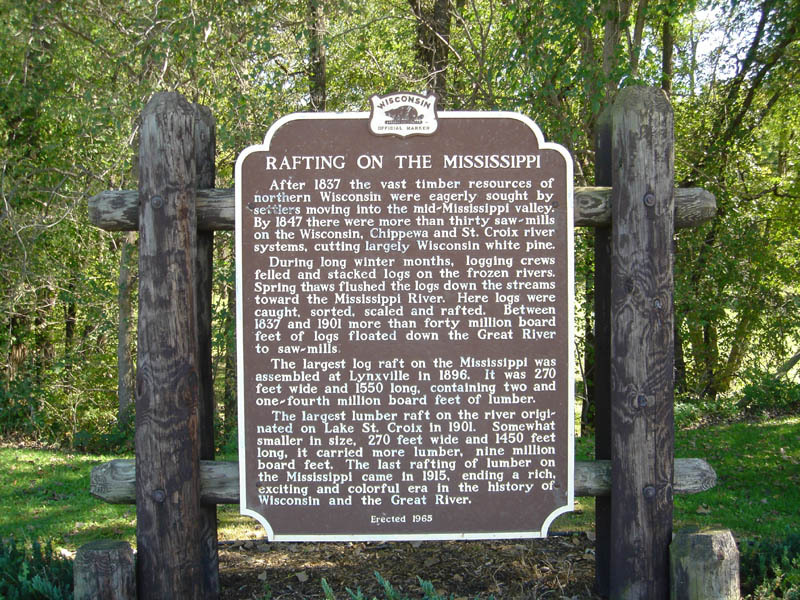 The last rafting of lumber on the Mississippi came in 1915, ending a rich, exciting and colorful era in the history of Wisconsin and the Great River.